fishing | David Hunt, PE… Mechanical Engineer on the loose! Five fish – couldn’t hold them all! Four haddock, one pollack, and more fish “chowdah” than I could eat at one go… so, a tub of it awaits in the freezer. 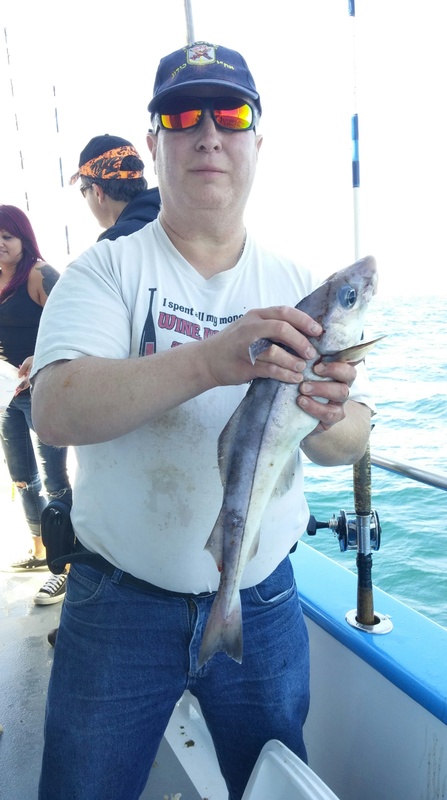 From my once-a-year ocean fishing trip. Caught lots of fish but mostly throw-back small fry*. (At one point I was catching nothing, with people to the left and right of me pulling up keeper after keeper, I wondered aloud if my line had a fish-language sign warning: Not This One!) But it was a magnificent day out on the ocean, sun, fresh salt air, and 2-3 foot swells that gave a nice rocking action to the boat… and as long as I came home with at least one for my traditional post-trip New England “fish chowdah”… all was good for the day. As it happened, someone exceeded their limit so they donated one to me, so a large pot of soup was in the offing for that evening’s dinner. * I hated that. I want to catch keepers, knock them out, and slip them into ice… not traumatize fish that then go back having to heal up from the hook. All these years, whenever I’ve gone fishing, I’ve clearly been doing it wrong.